To teach students to play their instrument and (if they are comfortable) to perform with other students in a live-band setting. The techniques and skills taught during private lessons are not truly learned until they are used. 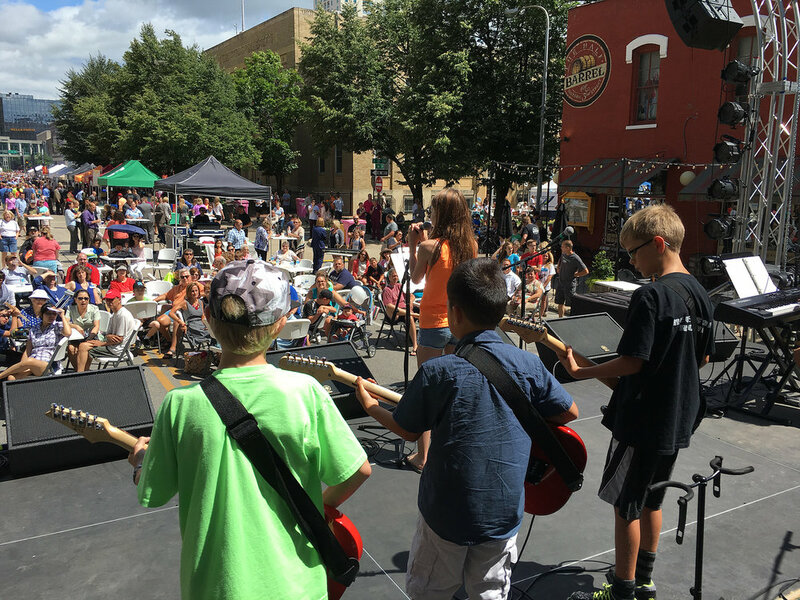 By incorporating live playing and group classes, students are able to take techniques learned in private lessons and apply them to a "real band" setting. Group classes are available for youth, teen, and adult students.